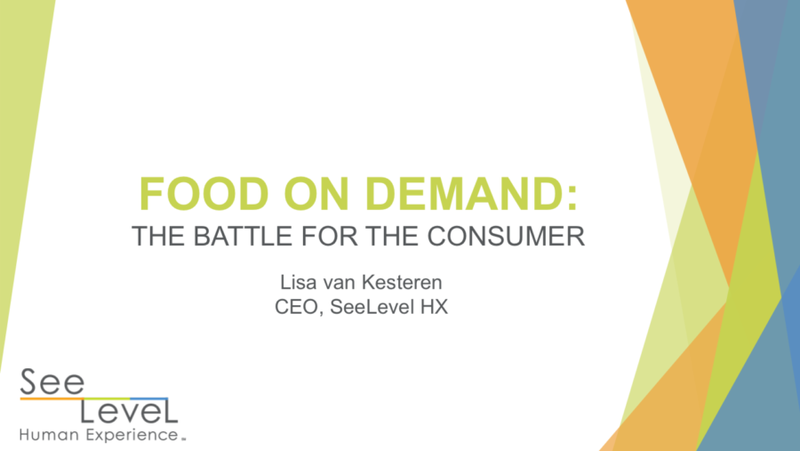 CEO Lisa van Kesteren recently revealed essential insights for restaurants and food delivery apps alike at the 2019 Food on Demand Conference. On a panel with Bite Squad National Sales Director Scott Leffel, Lisa shared the results from the 2019 Food on Demand Study in the packed-out session. Read a few of the key insights below and download the full presentation deck and raw data files here. Studies show that the most used food on demand apps are DoorDash, Grubhub and Uber Eats. 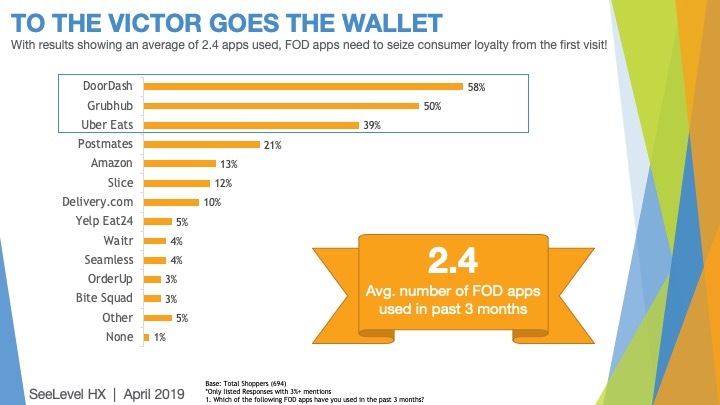 And with only 2.4 FOD apps used per customer on average, FOD apps only have a small window of opportunity to attract and retain customers. 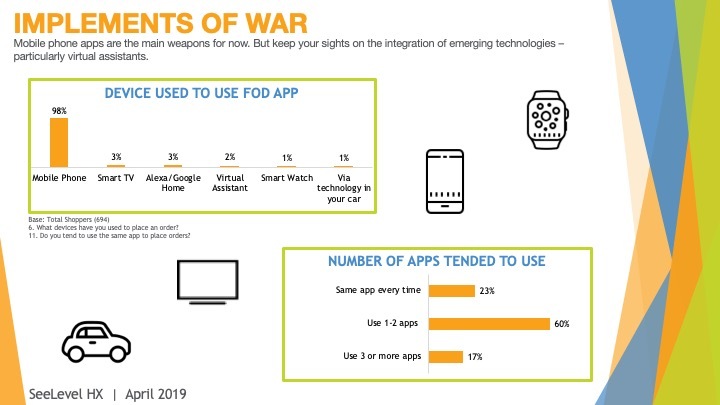 Customers are more likely to use only 1-2 food on demand apps, so restaurants need to be mindful of the apps they choose to deliver their food. Do the FOD apps that deliver your food have strong customer loyalty? 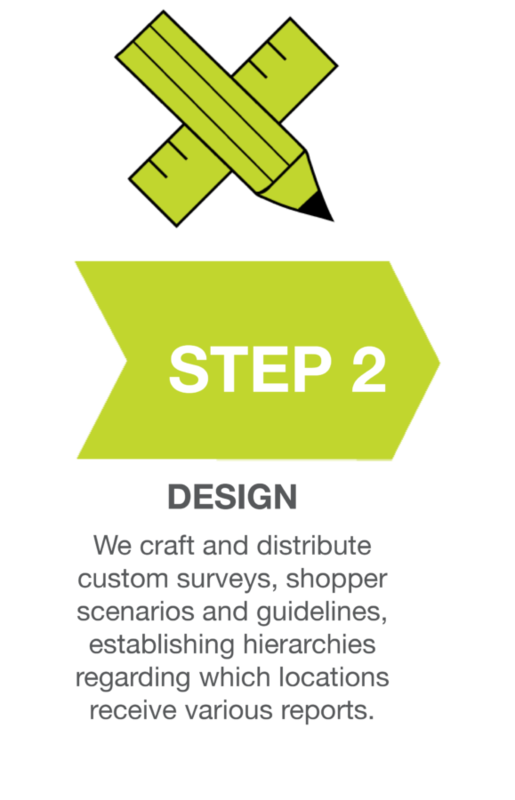 Questions to consider as an FOD app: is delivery time more important to the customer? Or is it more important to beat your estimated delivery times? 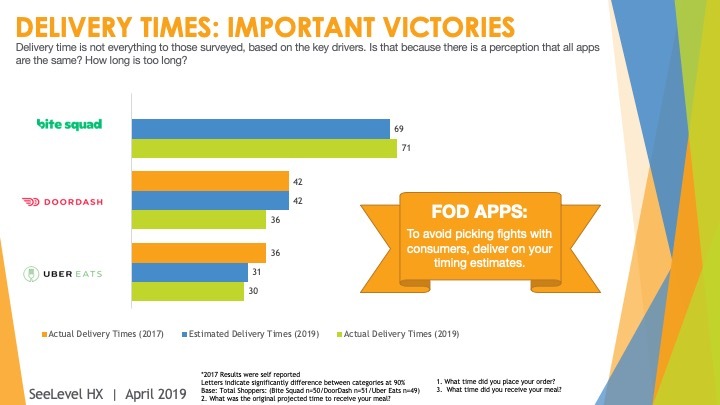 See who was early, on time and late based on their delivery times, how they compared to 2017 delivery times, and more in the full 2019 Food on Demand Study presentation deck. The Food on Demand presentation deck.